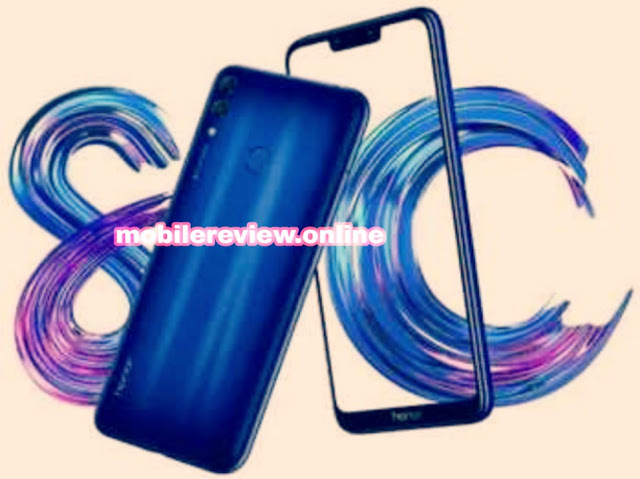 Honor 8c Launched in India, this is the world's first phone that runs on the Snapdragon 632 chipset - mobilereview.online - The Ultimate resource for mobile phones reviews, specification, information. Last month, Tech Company, Honor launched its new Smartphone Honor 8C official on the international platform. The Honor 8C has also got the world's first smartphone that has appeared on Qualcomm's latest Chipset snapdragon 632. After being available in the Chinese market this glorious phone has knocked the Indian market today. Honor India has launched its new smartphone, Honor 8C, and this phone will be available for sale from December 10 at the starting price of Rs. 11,999. The biggest feature of the Honor 8C is that this phone is the world's first Smartphone launched on Qualcomm Snapdragon 632 chipset. Talk about the features and specifications of the phone, this phone has also been introduced on the look-out on the Notch Display. This phone has a 6.26-inch fullview IPS display with 720 x 1,520 pixels resolution. On the front panel of the phone, the body part is written on the lower side and the other three edges have been completely depleted. Honor 8C has been introduced on the Android 8.1 Oreo with EMUI 8.1. Qualcomm's existing Chipset Snapdragon 632 14 nm technology, which is available in the honor 8C. The technology in the phone makes the Honor 8C very fast and smooth. At the same time there is Adreno 506 for graphics. On behalf of the company, this phone has been launched on 4GB RAM. This phone is launched in two storage variants in the country, which includes 32 GB memory and 64 GB internal storage. In both of these variants, the phone's storage can be increased to 256 GB via microSD card. Talk about the photography segment, the Honor 8c has dual rear camera supports. A 13-megapixel primary and F / 2.4 aperture 2-megapixel secondary camera sensor with F / 1.8 aperture is given on the back panel of the phone. Similarly, this phone supports an 8-megapixel front camera with F / 2.0 aperture for selfie. Flash lights are available on the back and front panel of the phone. Honor 8c had Dual SIM supports. For security where the finger print sensor is provided on the back panel of the phone, the phone supports 4,000 mAh battery for power backup. The Honor 8C has been launched in India in Aurora Black, Platinum Gold, Midnight Black and Nabula Purple Color Variants. The price of the 32 GB memory variants of the phone is Rs 11,999 and the 64 GB storage variant has been priced at Rs 12,999. The Honor 8C will be available from the company's official website along with the shopping site Amazon on December 10. Under the launch offer, Honor is offering a cashback of Rs 4450 to his fans and live customers. At the same time, you can get 100 GB extra 4G data completely free with the Jio user and Honor 8C smartphone.